Cast: 11 principal roles, numerous supporting. Doubling possible. 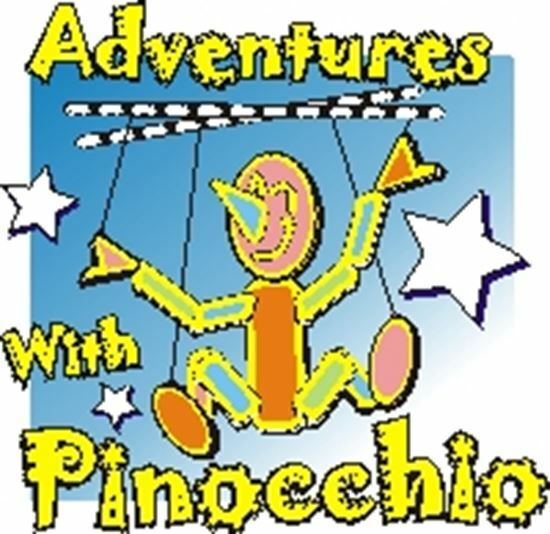 Magic, morals and music highlight Pinocchio's many adventures in this hour-long show. When Geppetto carves a wooden puppet which magically springs to life, the old toy maker is thrilled by the prospect of having a real son. But the innocent Pinocchio needs to learn so many thing, and he learns them all the hard way! First he meets Sly Fox, who steals his coins then the greedy carnival master Calzoni, who tries to keep him a prisoner. He escapes only to encounter the thieving Rachel Weasely, followed by the evil witch Consuella on Party Island where playful children are turned into mules! And each time Pinocchio lies, his nose grows longer and longer! Although his wise and witty friend Crick Hopper has tried to save Pinocchio, everyone else exploits his gullibility. Finally, in the belly of a whale, Pinocchio has learned his lessons: obedience, good manners, and a kind heart to think of others before himself. The next morning, with everyone safe at home again, he has become a real boy. Some delightful songs include "Storia Svelta," for the Narrator and Villagers to move the action along the tender "Broken Hopes" for Geppetto the exciting "Calzoni's Carnival" and "Here on Party Island" and finally Pinocchio's, "The Benefits of Goodness."